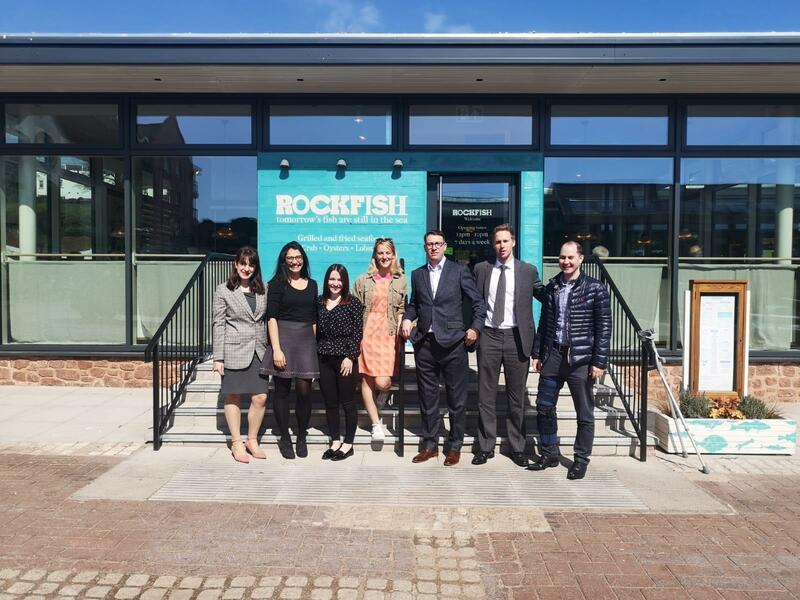 Home » News » YPN Rockfish spring fun! 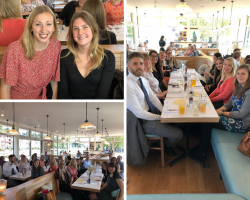 Gilbert Stephens Solicitors Young Professionals Network had their bimonthly networking event yesterday at the new Rockfish restaurant on the Quayside, Exeter. 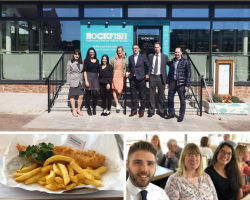 There was an exceptional turn out of young professionals to the Rockfish restaurant, from their various roles in local businesses and organisations. 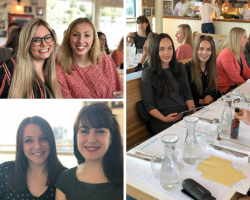 This was a great opportunity to enjoy the sunshine and network with other likeminded young professionals. One of our YPN members Zach Maiden from Lambert Hampton-Smith, had some exciting news to share – he has recently become a Dad to his beautiful daughter Dolphina. 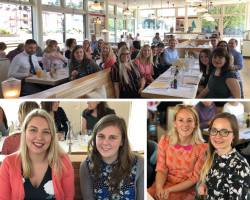 Membership to the Young Professionals Network is free, and it provides the opportunity to attend many varied and interesting events throughout the year. If you are interested in joining, get in touch with us via email at ku.oc1556146676.sneh1556146676petst1556146676rebli1556146676g@npy1556146676 or follow us on Facebook @GSYPN and Twitter @GS_YPN. To check out the sorts of things we get up to, have a look at our website.